But not before we’ve given a nod to the joy that is the beach hut. 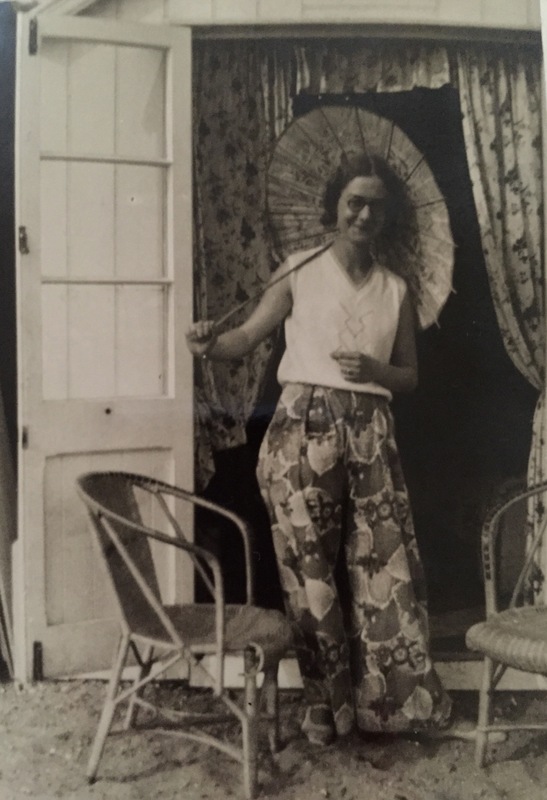 Taken c.1934, this picture shows my grandmother, Doris Annie Elizabeth Lambert, outside the beach hut my grandfather, George William Manley, constructed at West Mersea, Essex. I spent many happy days there as a child and West Mersea remains one of my favourite places – whatever the season.